With the official launch of the Nike Kobe X right around the corner, images are finally popping up of Kobe in the shoes. The wait for the official story on the upcoming Kobe 10 will finally end this Saturday when Nike unveils this next signature shoe for Kobe Bryant. 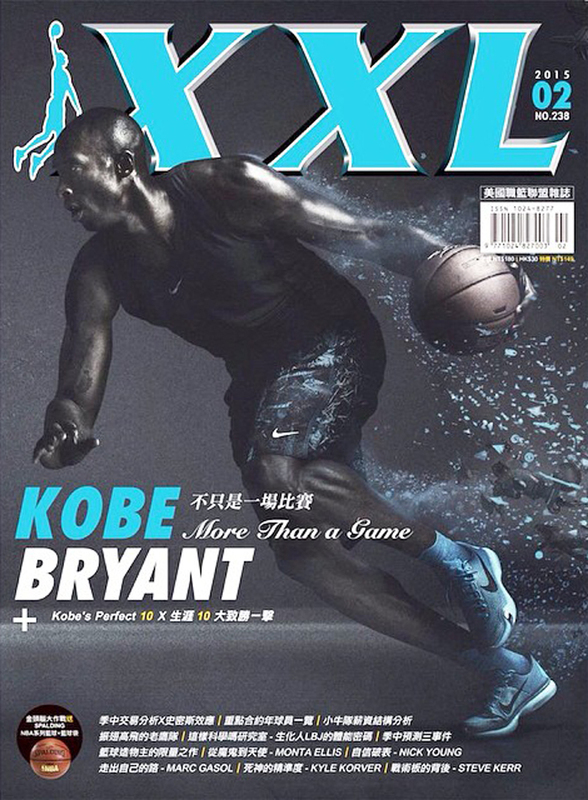 With the date rapidly approaching, Mr. Bryant has actually been seen in the shoes on the cover of the Chinese hoops mag XXL, pictured below. It's not likely that the magazine got an exclusive with Bryant for the issue, so don't be surprised if this same image pops up in the official Nike press release when the shoe is unveiled over the weekend. The colorway on-feet here is the Kobe 10 'Blue Lagoon,' which looks to be the first of pairs to arrive with its 2//7 release date.